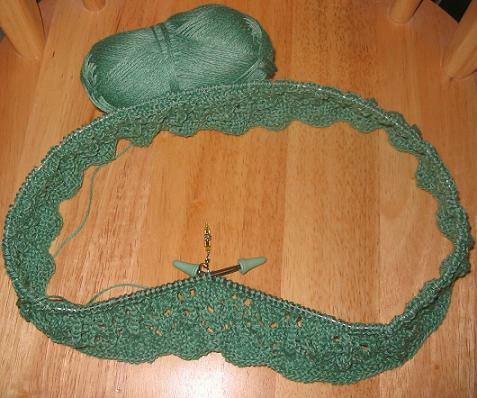 Here's a pic of my 1st lace pattern repeat. Is this yarn going to get softer after more wear like linen and hemp? I'd love to know since I've never used bamboo yarn. My bamboo is very soft to start with. One scarf that I knit out of bamboo (something with a panda on the label last winter but don't remember the name)gets softer everytime I wear it.